Happy New Year! Friday Lunch at El Indio!! We trust your holidays were great and your new year is going fabulous! Many changes and strong growth are underway over here, and we look forward to bringing you stronger, better, faster services in the second quarter of this year and beyond. The strongest growth in our services comes first in the form of an amazing new customized website platform; second is a new array of ongoing services. The new Drupal platform is upgradeable, future-proof and best of all – editable by you! This won’t roll out to old websites unless you want it, but we know you will. More details on Friday! 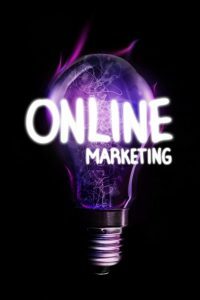 The ongoing services we mentioned include very important forward thinking strategies, search engine optimization, blog articles, email marketing, and social media – we want it to be our job to keep you looking your best on all digital fronts. 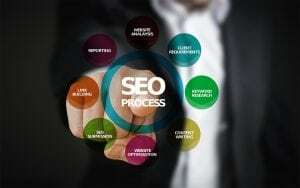 Reputation management, web traffic and metrics, rank monitoring, ongoing SEO, pay per click campaigns, branding endeavors, and MORE – these are the things that will make your small business look SO PROFESSIONAL. The Team has Grown AND We Moved! We are now a flexible in office force of 5 – 7 at any time, this having grown from 4 in the fourth quarter last year. Dane has been our primary coder since the beginning, then we added Cristina in April last year for graphics. Jessica started in November as our resident content writer and Bethany is our new project manager. Lana, Lily and Matt round out the latest additions as B2B Marketing Manager, Public Relations Director and Technical Lead. Our new office is located on NE Halsey St. at 111th Square, next to El Indio Mexican Restaurant, which is oh so delicious! You are invited, along with ALL of our clients and partners, today (January 15th, 2010) to a New Year refresher NW Business Links networking lunch, hosted by our favorite partner I Take the Lead. The meeting will be at El Indio, with a great opportunity to introduce yourself and your business to other business owners and professionals. Then we will move to view the art gallery in our office as we partnered with Jodi Tripp Photography to bring some very stellar digital and NW photography to the scene. 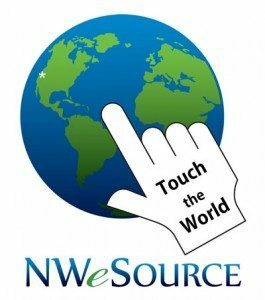 It will lastly be followed by a small presentation on the current events at NWeSource and how you can get involved! Get ready to meet the team if you haven’t already, we should have Bethany, Jessica, Lily, Lana, Dane, Matt, and Cristina present! This is all a prelude to our Grand Opening to be held at another date later in the month! See you soon!